In the first phase, the Boer offensive (October – December 1899), the Boers mounted pre-emptive strikes into British-held territory in Natal and the Cape Colony, besieging the British garrisons of Ladysmith, Mafeking and Kimberley. The Boers then won a series of tactical victories at Colenso, Magersfontein and Spioenkop against a failed British counteroffensive to relieve the sieges. When danger loomed, all the burghers (citizens) in a district would form a military unit called a commando and would elect officers. A full-time official titled a Veldkornet maintained muster rolls, but had no disciplinary powers. Each man brought his own weapon, usually a hunting rifle, and his own horse. Those who could not afford a gun were given one by the authorities. 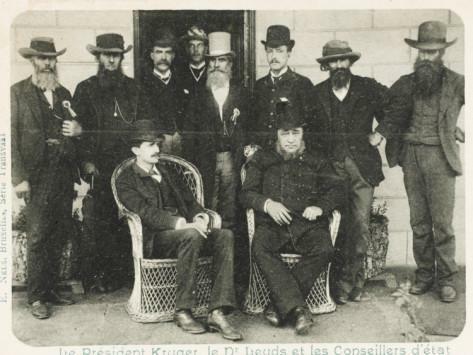 The Presidents of the Transvaal and Orange Free State simply signed decrees to concentrate within a week and the Commandos could muster between 30,000–40,000 men. In the second phase, the British offensive of January to September 1900, after the introduction of greatly increased British troop numbers under the command of Lord Roberts, the British launched another offensive in 1900 to relieve the sieges, this time achieving success. After Natal and the Cape Colony were secure, the British were able to invade the Transvaal, and the republic's capital, Pretoria, was ultimately captured in June 1900. Although eventually successful, what the British entirely failed to comprehend, however, was both the impact of destructive fire from trench positions and the mobility of cavalry raids. The British troops went to war with what would prove to be antiquated tactics, and in some cases antiquated weapons, against the mobile Boer forces with the destructive fire of their modern Mausers, the latest Krupp field guns, and their innovative tactics. The middle of December was disastrous for the British army. In a period known as Black Week (10 – 15 December 1899), the British suffered a series of losses on each of the three major fronts. On 10 December, General Gatacre tried to recapture Stormberg railway junction about 50 miles (80 km) south of the Orange River. 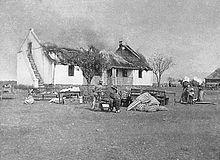 Gatacre's attack was marked by administrative and tactical blunders, and the Battle of Stormberg ended in a British defeat, with 135 killed and wounded, and two guns and over 600 troops captured. A story retold by Oom Martiens Coetzee, part of our extended family, was that the Boers had very limited ammunition at Stormberg. Every shot had to count. The Boers were then told to put his bar of soap at a distance that he was comfortable to achieve hits and only shoot once he saw a British uniform near his bar of soap. 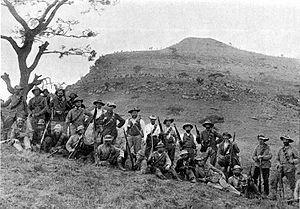 In the third and final phase, Guerrilla war (September 1900 – May 1902) and scorched earth policy, beginning in March 1900, the Boers launched a protracted hard-fought guerrilla war against the British forces, lasting a further two years, during which the Boers raided targets such as British troop columns, telegraph sites, railways and storage depots. In an effort to cut off supplies to the raiders, the British, now under the leadership of Lord Kitchener, responded with a scorched earth policy of destroying Boer farms and moving civilians into concentration camps. When Kitchener succeeded Roberts as commander-in-chief in South Africa on 29 November 1900, the British army introduced new tactics in an attempt to break the guerrilla campaign and the influx of civilians grew dramatically as a result. Kitchener initiated plans to flush out guerrillas in a series of systematic drives, organised like a sporting shoot, with success defined in a weekly 'bag' of killed, captured and wounded, and to sweep the country bare of everything that could give sustenance to the guerrillas, including women and children.... It was the clearance of civilians—uprooting a whole nation—that would come to dominate the last phase of the war. As Boer farms were destroyed by the British under their "Scorched Earth" policy—including the systematic destruction of crops and slaughtering of livestock, the burning down of homesteads and farms, and the poisoning of wells and salting of fields—to prevent the Boers from resupplying from a home base, many tens of thousands of women and children were forcibly moved into the concentration camps. 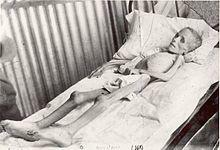 A total of 116 000 women, children and Boer soldiers were confined to the Commonwealth concentration camps, of which at least 28 000, mainly women and children, would die. The British saw their tactics of Scorched Earth and concentration as ways of controlling the Boers by "eliminating the decay and deterioration of the national character" and as a way of reinforcing the values, through subjugation of citizens and the destruction of the means for the Boer soldiers to continue fighting, of British society that the Boers were rejecting by engaging in a war against the Commonwealth. The Boers saw it as a British ploy designed to coerce the Boer soldiers into surrender. 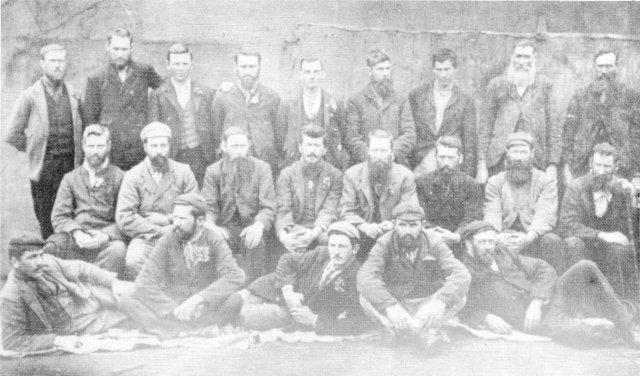 With approximately 10%  of their population confined, many of whom were women and children, the Boers suggested that the British were forcing the Afrikaners to return to their homes and protect their families who were in danger of internment. This scorched earth policy led to the destruction of about 30000 Boer farmhouses and the partial and complete destruction of more than forty towns.. Thousands of women and children were removed from their homes by force. They had little or no time to remove valuables before the house was burnt down. They were then taken by oxwagon or in open cattle trucks to the nearest camp. Conditions in the camps were less than ideal. Tents were overcrowded. Reduced-scale army rations were provided. In fact there were two scales. 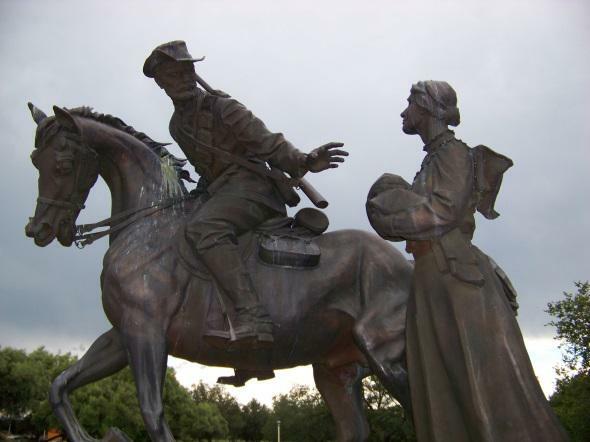 Meat was not included in the rations issued to women and children whose menfolk were still fighting. There were little or no vegetables, no fresh milk for the babies and children, 3/4 lb of either mealie meal, rice or potatoes, 1 lb of meat twice weekly, I oz of coffee daily, sugar 2 oz daily, and salt 0,5 oz daily (this was for adults and children who had family members on commando). Children who were under six years of age received 0,5 lb of meal daily, 1/2 meat twice weekly, 1/4 tin of milk daily, 1 oz sugar daily and 1/2 oz of salt daily. This very poor diet led to the rapid spread of diseases such as whooping cough, measles, typhoid fever, diphtheria, diarrhoea and dysentery, especially amongst the children. There was a chronic shortage of both medical supplies and medical staff. Eventually 26 370 women and children (81% were children) died in the concentration camps. The visit of the British humanitarian, Miss Emily Hobhouse, a delegate of the South African Women and Children's Distress Fund to the camps in the southern Orange Free State led to an improvement in the conditions. On her return to Britain the story she told of the conditions under which the women and children had to live shocked everyone not committed to believe in the inevitability of the war and the harsh measures that was to end it. A lesser known fact is how the farm labourers suffered in the same war. No less than 65 black concentration camps were established. A total of 140 514 blacks were interned, many of whom fought side-by-side with the Boers. 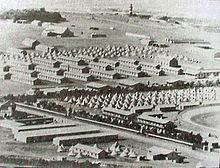 Approximately 24 000 black men, women and children died in these camps. Some parts of the British press and British government expected the campaign to be over within months, and the protracted war gradually became less popular, especially after revelations about the conditions in the concentration camps (where as many as 28,000 Afrikaner women and children died of disease and malnutrition). The Boer forces finally surrendered on Saturday, 31 May 1902, with 54 of the 60 delegates from the Transvaal and Orange Free State voting to accept the terms of the peace treaty. This was known as the Treaty of Vereeniging, and under its provisions, the two republics were absorbed into the British Empire, with the promise of self-government in the future. This promise was fulfilled with the creation of the Union of South Africa in 1910. The war had a lasting effect on the region and on British domestic politics. For Britain, the Second Boer War was the longest, the most expensive (£200 million), and the bloodiest conflict between 1815 and 1914, lasting three months longer and resulting in higher British casualties than the Crimean War (1853–56). Sir Arthur Conan Doyle (author of Sherlock Holmes) “Take a community of Dutchmen of the type of those who defended themselves for fifty years against all the power of Spain at a time when Spain was the greatest power in the world. Intermix with them a strain of those inflexible French Huguenots, who gave up their name and left their country forever at the time of the revocation of the Edict of Nantes. The product must obviously be one of the most rugged, virile, unconquerable races ever seen upon the face of the earth. Take these formidable people and train them for seven generations in constant warfare against savage men and ferocious beasts, in circumstances in which no weakling could survive; place them so that they acquire skill with weapons and in horsemanship, give them a country which is eminently suited to the tactics of the huntsman, the marksman and the rider. Then, finally, put a fine temper upon their military qualities by a dour fatalistic Old Testament religion and an ardent and consuming patriotism. Combine all these qualities and all these impulses in one individual and you have the modern Boer- the most formidable antagonist who ever crossed the path of Imperial Britain. Our military history has largely consisted in our conflicts with France, but Napoleon and all his veterans have never treated us so roughly as these bard-bitten farmers with their ancient theology and their inconveniently modern rifles. Look at the map of South Africa, and there, in the very centre of the British possessions, like the stone in a peach, lies the great stretch of the two republics, a mighty domain for so small a people. How came they there? Who are these Teutonic folk who have burrowed so deeply into Africa? It is a twice-told tale, and yet it must be told once again if this story is to have even the most superficial of introductions. No one can know or appreciate the Boer who does not know his past, for he is what his past has made him." The preceding is not a hate story but a factual account of the ABW from the British perspective. There are as many conflicting views as there are authors having written about the ABW. This synopsis is intended to set a background to the following tables that draws a picture of the involvement and suffering of one family, the MAARTENS/MARTINS/MARTENS family. The list is by no means complete as it does not capture the “aangetroudenes”, families into whom our family married into. Spelling of the family name are, nearly in all cases as they were recorded by the British in the camp records. Deaths in the camps are shaded in grey. The registers are an on-going project by the University of Cape Town and is by no means complete. This is a hold-point in my own research as well.